God is Love. God became a man and squeezed into the world through a narrow, slimy birth canal, just like the rest of us. The incarnation of Love. Love had eyes to see, ears to hear and hands to reach out and touch a leper and heal them. Jesus was the name Love gave Himself when He came from Heaven to Earth. I am exploring this revelation of God in the flesh, a question many truth-seeking people have had over the centuries. A few questions echo when we begin to study this truth. How can God be on Earth as a man and in Heaven at the same time? Is God one person, monotheistic or is He more than one person? From the very beginning, the Godhead, the Trinity has been in action. I call them the “US” team. In the natural, another way to help you understand the Godhead is the marriage between a man and a woman. Two people join together and become one flesh through a covenant. (see Genesis 2:24) My wife and I are two different people, but in reality we have made a decision to become one in word, in deed, in finances, in sickness, in health until death. Marriage is a God-ordained institution to provide an earthly illustration of the Godhead and our relationship to Him. Can you see it? God is a trinity. In knowing God, you have to know all three persons. The Father reveals Jesus. (Matthew 16:16-17) Jesus reveals the Father. (John 14:7-9) The Holy Spirit reveals both Jesus and the Father because they are one. (1 Corinthians 2:9-14/John 16:12-16) Jesus revealed God to us not as an angry God but as “Abba” Father. Holy Spirit reveals Jesus to us not just as a prophet or a great man but as the Christ, the Son of God. Each person is distinct in their personality and character. Each has their own will. But they never seek to have their own will exude another. No person in the Godhead is less significant than the other. They are equal in authority and power. You cannot seek to know Jesus but ignore the Father. You can’t seek to know the Father and ignore the Holy Spirit. Same way you can’t seek to have a relationship with me and ignore my wife. We are one. My prayer is that your heart will be enlightened in seeing the truth of the reality of God’s presence, person and love for us. 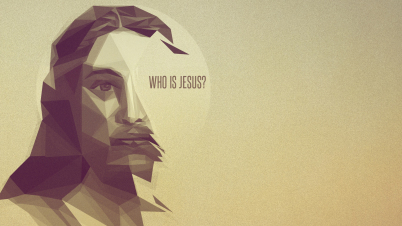 Jesus is the embodiment of the fulness of God. He is the tangible, living, human expression of the living God. May His brilliance become a great revelation to you and minister another depth of salvation into your heart. God became one of us. He is the God-MAN Christ Jesus! *The beauty of God’s arrival was that he didn’t come “as a God”. He came very lowly, irrelevant even. At first, in no spectacular fashion. Because of this, the one’s He came for “Jews” despised Him and rejected Him as their King and savior. Why do you believe God took this approach to arrive in the flesh? Previous postWhat if God was one of us?